Your Loyola residence hall is where lifelong friendships are made. 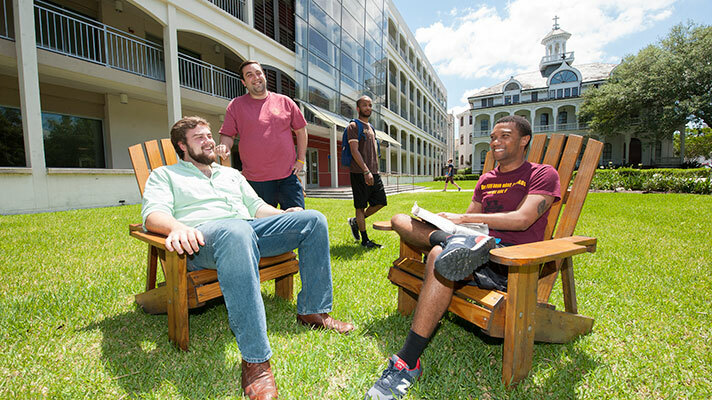 Once admitted to Loyola, you’ll be able to apply for housing through our Office of Residential Life. You’re required to live on campus your first and second year if you are not for the Greater New Orleans Metro area. 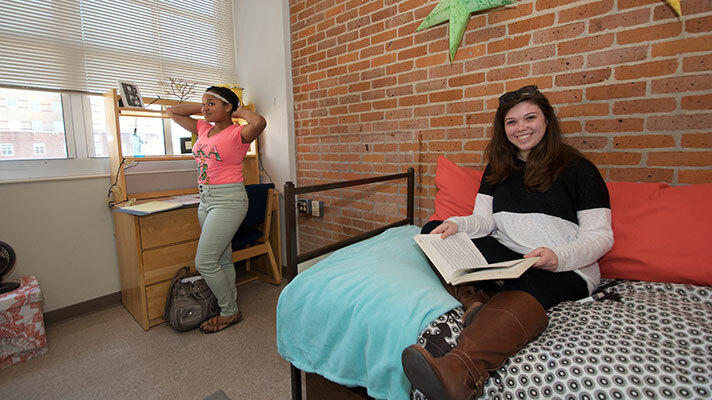 Learn more about the residential halls on campus. Do you want to live with students who share your passion for ministry and advocacy? Or would you like to live with others who are interesting in exploring their leadership potential and building their confidence? Then Themed Living Communities may be right for you. Learn more about the Themed Living Communities on campus. Loyola has two garages on campus available for students, faculty, and staff. Freshman students are allowed to have cars on campus. Permits are available for purchase for a school year or a semester. Location, Location, Location! Living on campus puts you in the heart of the action. Living on campus gives you opportunities to meet new people and make friends, go to campus events, join student organizations, and participate in leadership experiences. Living on campus means no sitting in traffic or search for parking; which means a stress free commute to class and co-curricular activities. 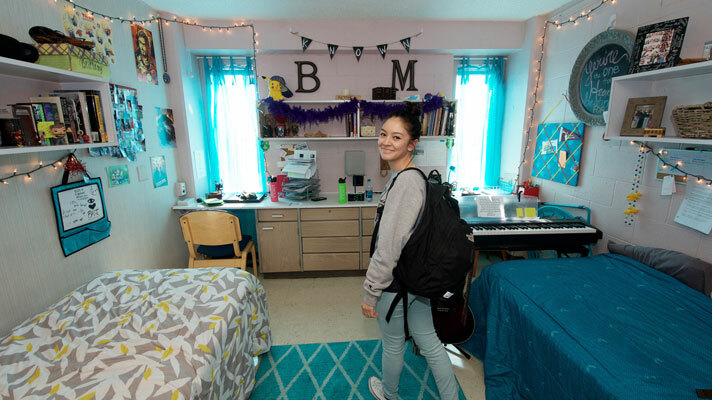 First year students may apply to live in a Themed Living Community, a cohort of students intentionally brought together around a common purpose in order to make living on campus a more personalized experience. National research tells us that students who live on campus have better grade point averages (GPA) than students who live off campus. Sodexo’s dining partner concept allows you to choose from over 25 dining options on both Loyola and Tulane’s campus, including the new addition of Starbucks and locally owned Slice Pizzeria. 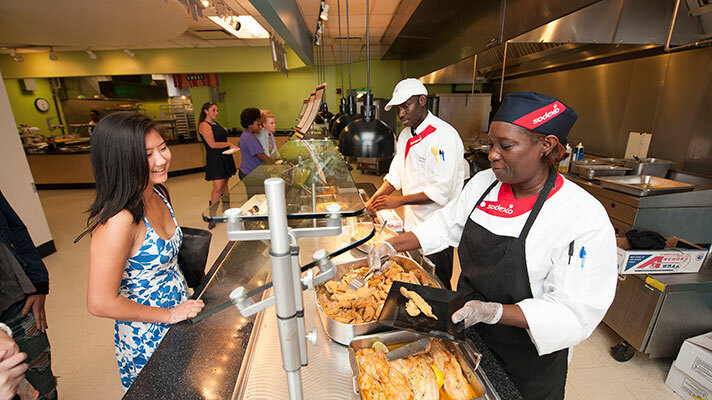 Meal plans are built to provide students healthy food as well as the flexibility to grab a bite on the go. We can't wait to see you on campus! Learn more about applying for housing.